You gradually improve overall code coverage, even in legacy codebase. Successfully rebased and updated refs/heads/tmp. 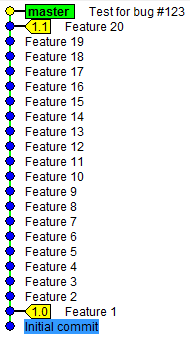 Program above is non-interactive and fully automated. 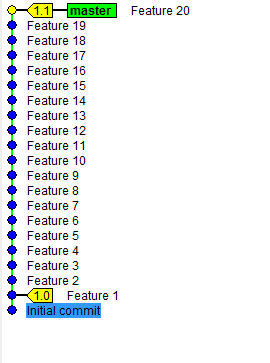 git, after few iterations, points precisely which commit was the first one to break the test. We can run all tests, but there is no point since we know only this one fails. Of course you can use any other command rather than mvn. You can even write some simple script in any JVM language of your choice (use System.exit ()). git bisect, combined with interactive rebasing, are wonderful tools to look for regressions and bugs. Also they promote automated testing and automation in general.